Selvage Blog: Low Volume Pre-Cuts at Fabric Fascination! Look at this! 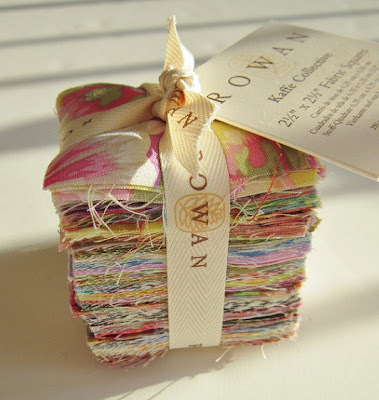 A package of 250 pre-cut 2 1/2" squares from the Kaffe Fassett Collective for Westminster Fabrics. All light colors! I could have some fun with this! Available from Kym at Fabric Fascination. Enter SELVAGEBLOG and you get 10% off because of course you are all VIPs. I wonder what Westminster does with all the selvages when they make these collections. I've asked them for some selvage bundles for a giveaway here. Stay tuned! Can't wait to hear if you get selvages from Rowan. Could open the door to other fabric companies, too. I hate to think of all those selvages going in the trash! Oh, the selvages! what a wonderful bundle they could put together! I would give my top teeth for a selvage bundle of those! Geez louise!